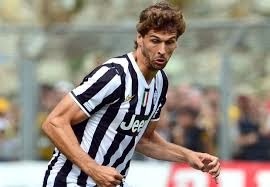 This was after reports from Spain condemned Juve coach Antonio Conte for failing to play Llorente this season after signing him from La Liga side Athletic Bilbao. The Spain international made ​​the switch from Athletic Bilbao in the summer, after scoring only five goals for the La Liga side. He announced that he would not be renewing his contract with the club and went on to agreeing a pre-contract agreement with Juventus back in january. It was reported that he was disappointed with the amount of game time he had had so far totaled Which to 1 min of football in five official matches played by Juventus this season so far. It was reported on Sunday that Wenger still admires the player and could go for a surprise bid in January but Juventus director of football Beppe Marotta has denied the prospect of a January, "No problem. We are happy, "he told Italian reporters on Wednesday. But with Juventus signing Tevez it seems like he will need to impress to secure a spot in the starting line-up. Arsenal will be monitoring developments according to reports as Wenger seeks to sign a striker or two in January.